Pumpkin Spice lovers: You asked, they listened! Look what's coming soon!!! Pumpkin Spice Vegan Shakeology! If you're like me, come fall, I love Pumpkin Spice EVERYTHING!! Each fall I would create my own Pumpkin Spike Shakeology, but I needed quite a few ingredients, and would always race to finish the can of pureed pumpkin before it spoiled. Now, I can whip it up quickly, without any wasted pumpkin!!! 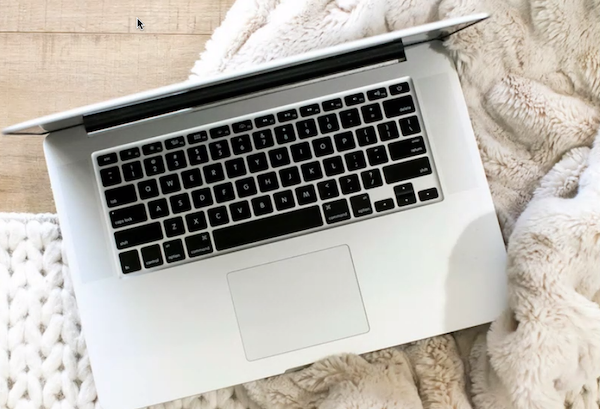 WHAT IS PUMPKIN SPICE VEGAN SHAKEOLOGY? Pumpkin Spice Vegan Shakeology is a limited edition, rich, creamy, shake with notes of pumpkin, cinnamon, nutmeg and ginger that delivers the delicious taste of fall with all the benefits of Shakeology. For a limited time only, starting September 15, 2018, customers can order Pumpkin Spice Vegan in 14 single-serve packet boxes as a one-time purchase. *There is no limit to how many customers can buy while supplies last. However, there will be no monthly subscription option as Pumpkin Spice Vegan is available only while supplies last. 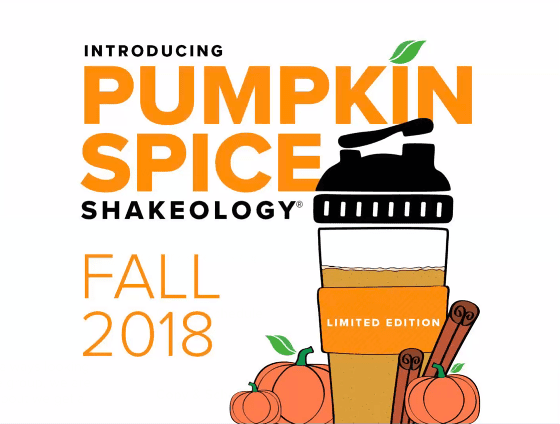 Pumpkin Spice Vegan Shakeology will be available exclusively in the US in limited quantities. Pumpkin Spice Vegan Shakeology can be ordered as a one-time purchase only as monthly auto-ship is not an option. However, customers may buy as many boxes as they like, while supplies last. Availability – Starting Fall 2018, while supplies last. Pumpkin Spice Shakeology Pricing –$74.95 for a 14 single-serve packets box. Preferred customers get 25% off!! Want to be the first to know when it becomes available for purchase? Fill out this form below and I will be in touch with more info. 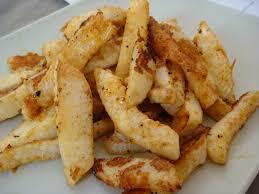 They are a great substitute if you're missing french fries. 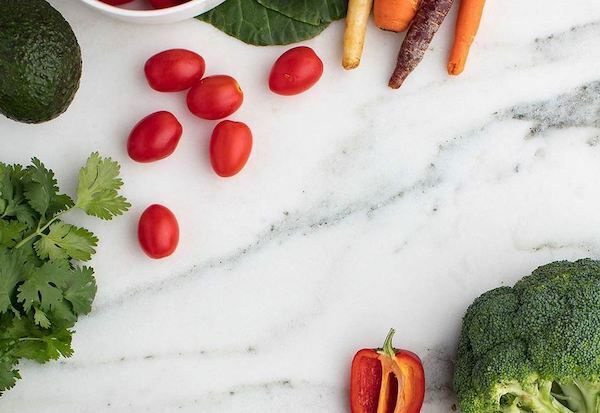 Also, if you're following a keto, paleo, gluten free, or just all around healthy diet, turnips are a low carb veggie, so they fit perfectly into any of these nutrition plans. My new snack bar that I'm crazy about! I don't know about you, but as a busy mom (this term is redundant), I would always have a cache of Kind bars, Clif bars, Cascading Farms bars, and others that I thought were "healthy," and of course were an easy snack. In my purse, in my car, in any bag I carried, I had these bars. For me, my husband, or my sons, snack bars were perfect for when the "hangries" appeared. Until I looked at the sugar content of some of these. Then the other ingredients - like soy lecithin, and other ingredients I didn't recognize. This is why I am so grateful for BEACHBARS!!! BEACHBAR is a crunchy, chewy, and delicious snack bar that with a quality source of protein and just 150 calories — perfect for a wholesome anytime snack. At 150 calories per bar, you get 10 grams of protein, 4 grams of fiber, and 5 to 6 grams of sugar. BEACHBAR is the perfect on-the-go snack to keep you going until your next meal. My kids love them, even the one who only eats peanut butter!! How Do I Purchase BEACHBAR Snack Bars? BEACHBAR combines crunchy protein crisps, nut pieces, chocolate chips, creamy nut butters, and fruit chunks (in the Chocolate Cherry Almond flavor only) to deliver delicious, satisfying goodness in every bite. With increasingly on-the-go lifestyles, people are reaching for quick snacks to satisfy their hunger cravings between meals. And while we strive to make healthier choices, convenience is still paramount. By keeping a stash of BEACHBAR snack bars in your bag, or at work, you’ll always have a convenient, wholesome snack anytime, anywhere. 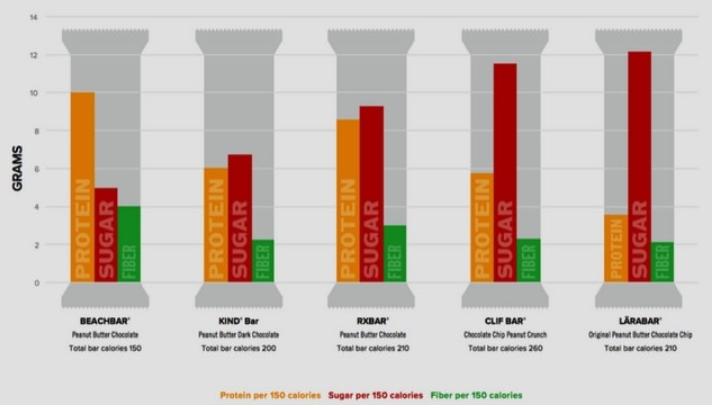 Unlike other snack bars, BEACHBAR has more protein than sugar. Many bars today have too much sugar and carbohydrates. BEACHBAR delivers 10 grams of protein in a 150-calorie bar. If you’re looking to add more protein to your diet, BEACHBAR has the protein without the extra calories or sugar - it only has 6 grams of sugar!! Compare this to whatever bar you eat now. It’s also an easy and delicious way to get 4 more grams of fiber into your daily diet. And, it's gluten free! If you follow a gluten-free diet, this convenient, satisfying bar could be the perfect snack you’ve been searching for. If you have a sweet tooth, you will love these bars, without all the sugar! 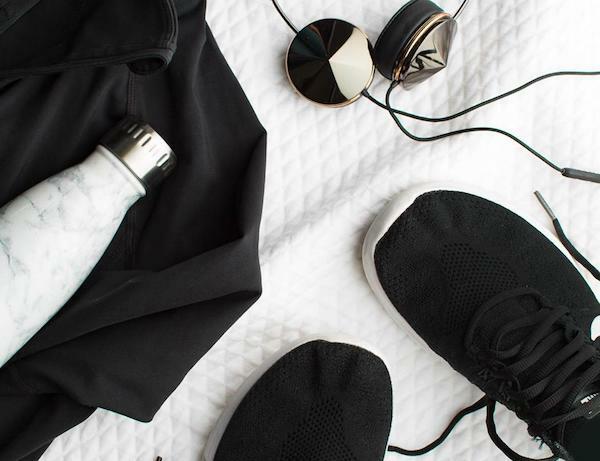 Staying on track with your fitness and nutrition goals can be challenging. 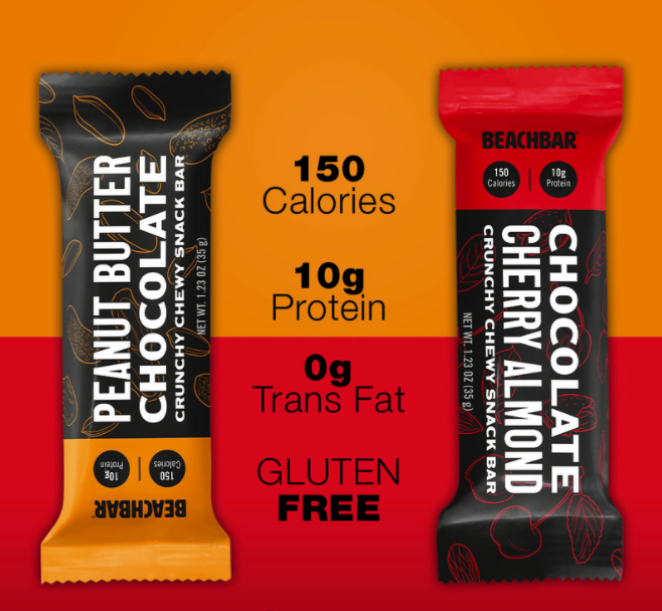 With chocolate chips, creamy nut butters, and hearty nut pieces, BEACHBAR is the ideal “cheat treat” to satisfy your sweet tooth, and it can help you stay on track. BEACHBAR is a delicious, sensible snack bar that easily fits into Beachbody nutrition plans. You can drink Shakeology in the morning and then eat a BEACHBAR in the afternoon to satisfy your craving for a snack without blowing your calorie count. Need more tips or support in your health and fitness journey in one of my Fit Clubs? Complete the form below and I'll send you info within 24 hours! I was born in Italy and raised on the Italian flavors of garlic, marinara, mozzarella, and parmesan. These staple flavors make an appearance on my meal plan each week. 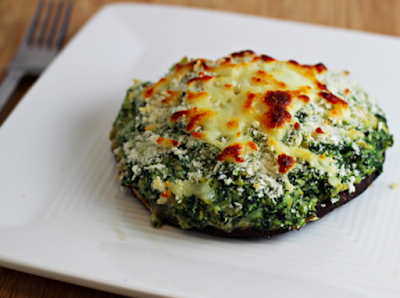 With this recipe, I took the elements of lasagna filling—ground beef, ricotta, spinach and Parmesan cheese—and nestled them into roasted portobello mushroom caps. 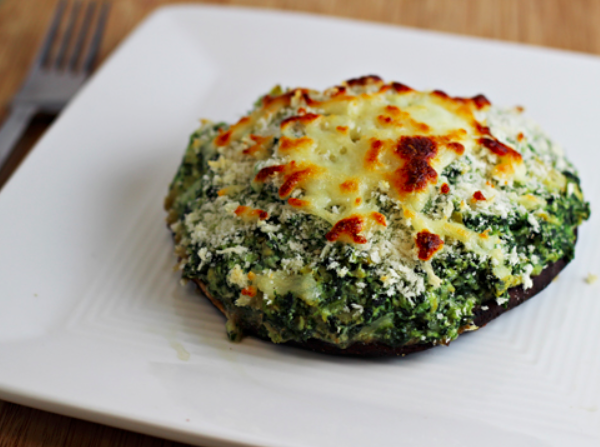 The recipe works best with very large portobello caps; if you can only find smaller ones, buy one or two extra and divide the filling among all the caps. I served with sautéed, zucchini noodles covered with marinara and sprinkled with parmesan. Place mushroom caps, gill-side up, on the prepared pan. Spread chopped garlic on top, and sprinkle with salt and pepper pepper to taste. Roast until tender, 20 to 25 minutes. Meanwhile, in sauté pan, place 1 TBSP evoo and cook about 1 minute, then add ground beef, 1/2 tsp basil and 1/2 tsp oregano, salt and pepper to taste. Cook until browned, and cooked through. Add marinara sauce to ground beef mixture and keep warm. Meanwhile, mash ricotta, spinach, ¼ cup Parmesan, olives, basil, oregano, and salt and pepper to taste in a medium bowl. When the mushrooms are tender, carefully pour out any liquid accumulated in the caps. Return the caps to the pan gill-side up. Spread 1 tablespoon marinara into each cap; cover the remaining sauce to keep warm. Mound a generous ⅓ cup ricotta filling into each cap and sprinkle with the remaining ¼ cup Parmesan and mozzarella cheese. Bake until hot, about 10 minutes. Serve with the remaining marinara sauce. ** Easy cleanup: Recipes that require cooking spray can leave behind a sticky residue that can be hard to clean. To save time and keep your baking sheet looking fresh, line it with a layer of foil before you apply the cooking spray.